An easy Sweet ’n Spicy Brunch with a homemade quiche, scones & fruit salsa. 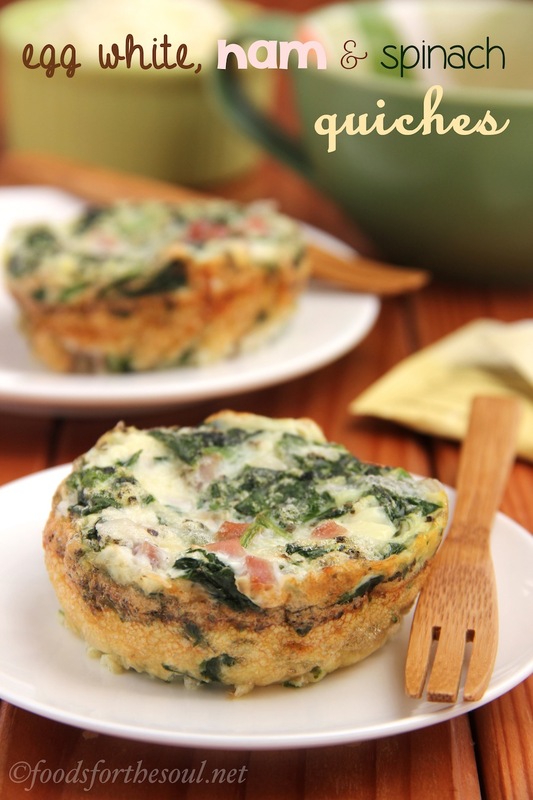 Completely gluten-free for a healthy & guiltless morning meal! 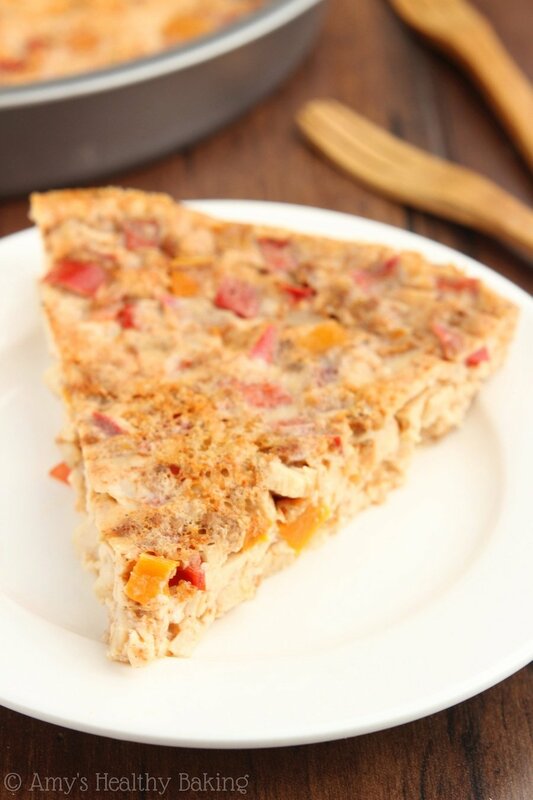 Next came my Chicken Fajita Quiche. 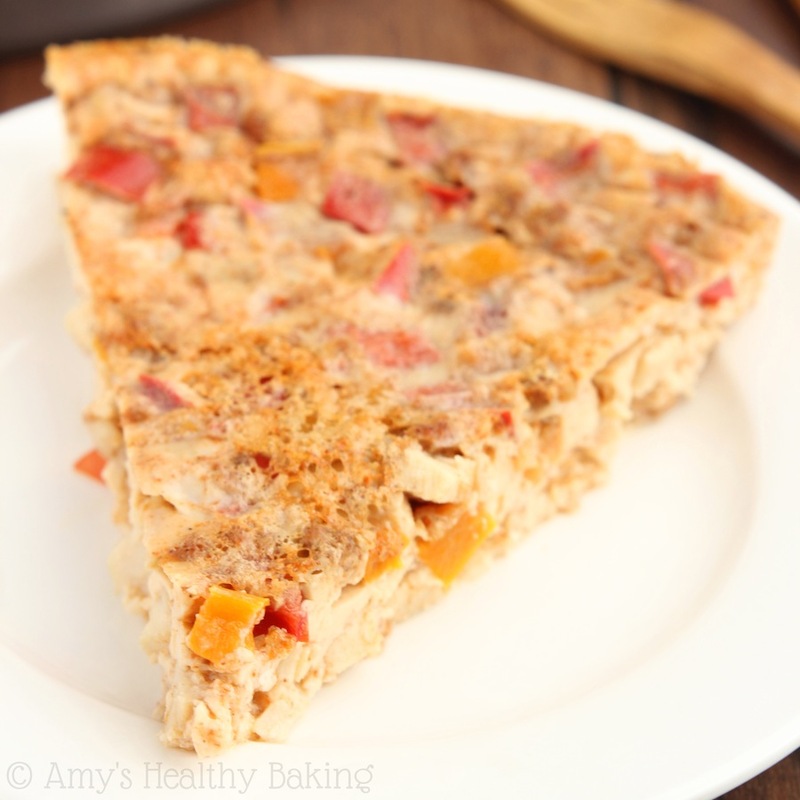 I often prepare a hearty quiche over the weekend and reheat the leftovers throughout the week for a quick and easy breakfast, but after tasting this southwestern-inspired one, we barely had a single serving left! 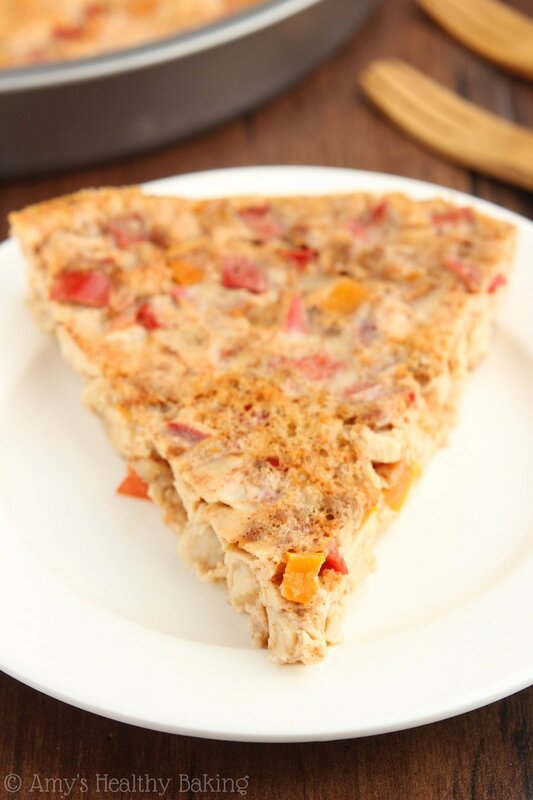 This quiche is mindlessly simple; you just need 4 ingredients: egg whites, taco seasoning mix, sweet bell peppers, and chicken. Yes, it contains lots of protein—over 21 grams per serving! You can either separate all of your own eggs or buy a carton (or two) of egg whites from the grocery store to make the prep even easier. For maximum flavor—and the brightest slices!—choose 2 different colors of peppers. I generally prefer red, orange, or yellow for their slightly sweeter taste, but feel free to pick green instead. It’s usually a little cheaper! Tip: For a quick shortcut, buy a package or two of pre-cooked chicken from the deli department. It saves you the time of baking your own! Just whisk everything together, then bake the quiche low and slow: 300°F for about 30 minutes, or until the center no longer jiggles. (That’s the easiest fail-proof test!) You can either (a) bake it the morning of and slice into it while still warm or (b) prepare it the night before and simply reheat individual slices to save you time and hassle. I love sleeping in on weekends, so I went with the second option! Find my recipe below, then hit “Next” to see the final recipe! 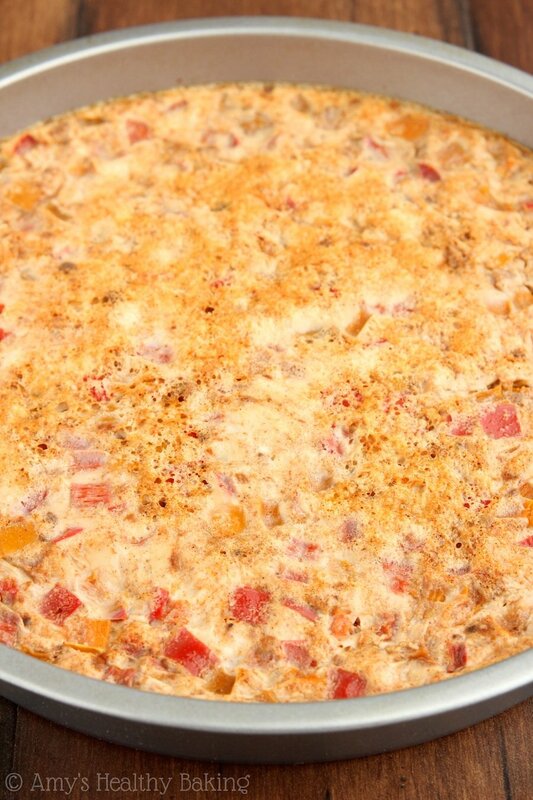 This southwestern-inspired quiche is one of the easiest you’ll ever make! 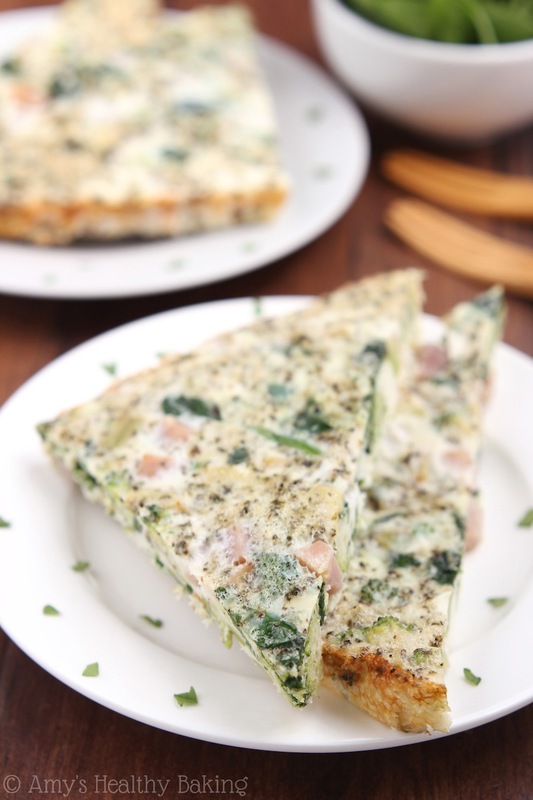 It’s packed with protein and veggies for a hearty and filling morning meal. Store any leftovers wrapped in plastic wrap, and reheat individual servings for about 50-60 seconds just before serving. Preheat the oven to 300°F, and lightly coat two 9”-round baking pans with nonstick cooking spray. In a large bowl, whisk together the egg whites and taco seasoning mix. Stir in the bell peppers and chicken. Divide the mixture between the two prepared baking pans. Bake at 300°F for 27-31 minutes, or until the center no longer jiggles when slightly shaken. Cool in the pan for at least 10 minutes before slicing each quiche into 8 segments. Of course Maddy! I thought about doing that too, but I had already been to the store 3 times the day before and didn’t want to go back. 😉 I hope you enjoy the quiche! This looks delicious! Would this work if I used whole eggs or a combo of whites and whole? Thank you! I’m sure it would. I usually consider egg yolks to be about half the volume of an egg white, so hopefully that helps you gauge how many whole eggs you’d like to use. 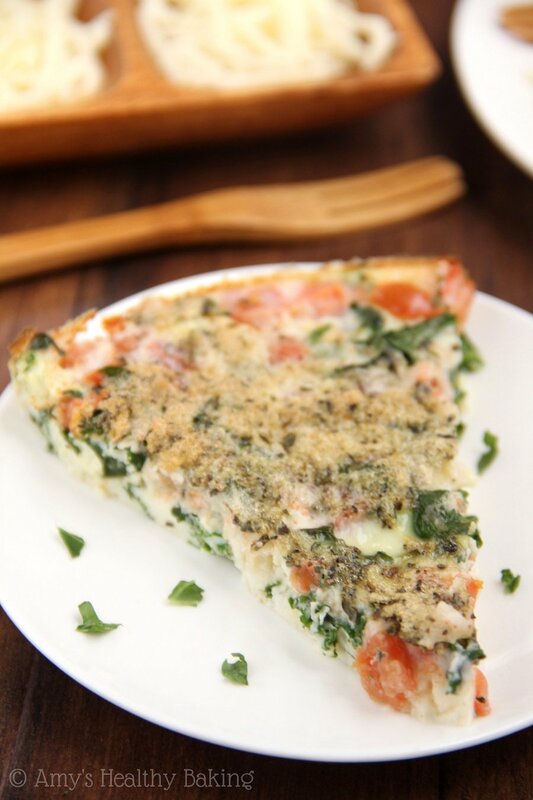 I’d love to hear what you think if you try the quiche!